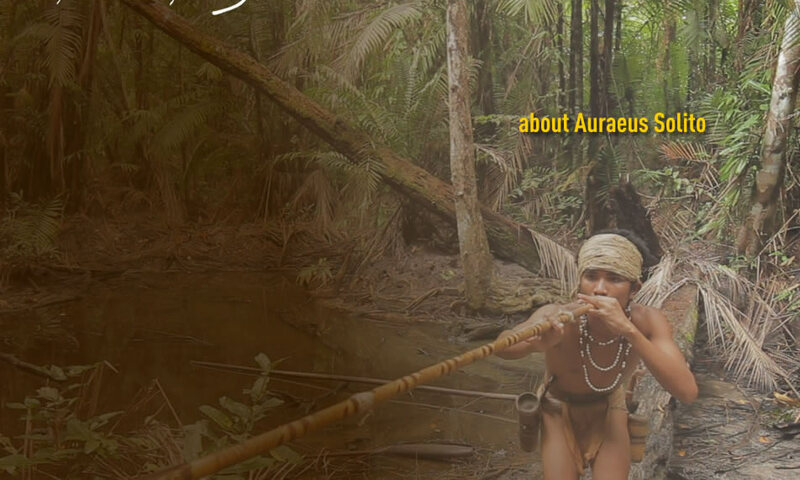 Auraeus Solito was recently chosen in Take 100, The Future of Film which presents an emerging generation of the most talented filmmakers around the world. This book published by Phaidon Press, New York is an unparalleled survey featuring 100 of the most exceptional film directors from around the world selected by 10 internationally prominent film festival directors. His first feature "Ang Pagdadalaga ni Maximo Oliveros (The Blossoming of Maximo Oliveros)” won 15 international awards including 3 awards at the Berlinale (The Teddy award, International Jury Prize at the Kinderfest and Special Mention from the Children's Jury of the Kinderfest). It is also the first Philippine film nominated for Best Foreign film at the Independents' Spirit Awards in the US. It has been shown in more than 50 film festivals around the world. 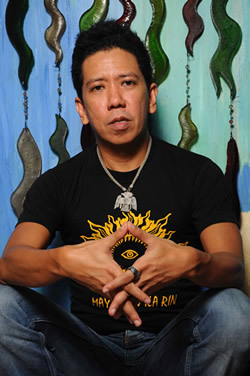 “Tuli (Circumcision),” his second feature film won Best Picture and Best Director at the Digital Competition at the 2005 CineManila Film Festival ; won the NETPAC Jury Prize at the the Berlinale, International Forum for New Cinema and the Best International feature Film at Outfest in Los Angeles. He is the first Filipino to make it to the premiere independent film festival in the world, the SUNDANCE Film Festival in Park City, Utah, USA; two years in a row for both “The Blossoming of Maximo Oliveros” and “Tuli.” His films have been screened in major festivals around the world including Berlin, Sundance, Montreal, Pusan, Toronto and Rotterdam. Other feature films directed by Auraeus include “Pisay (Philippine Science)” and “Boy,” the former has won local and international awards as well, and the latter has been screened in many lgbt film festivals around the world and now distributed by Wolfe Video (US and Canada), Optimale (France) and GMFilms (Germany). His current film “Busong (Fate)” has been selected to the Quinzaine des Realisateurs (Cannes Directors’ Fortnight, May 2011) and will also be featured in the Directors’ Showcase at the Cinemalaya Philippine Independent Film Festival this July 2011. Kanakan-Balintagos is his tribal-spirit name dreamt by a shaman.